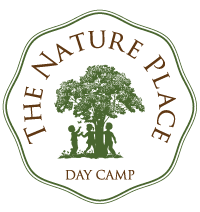 For 33 years The Nature Place has provided a unique camp experience for children ages 4-16. Located on the campus of the Green Meadow Waldorf School and the Threefold Educational Center, we explore, play in, and learn from 200 beautiful acres of farmland, gardens, trails, woods, fields, streams, ponds, and swamps. Keeping our camp small in numbers and providing a well-trained staff are key to maintaining the quality of our program. Visit our Rates page for details on pricing. Truly the heart of our family-run camp. Get to know us. Yes, there is camping at our camp! Our camping program is progressive in the skills we teach and the trips on which we embark. Our very youngest campers learn basic camping skills and go on an Almost Overnight on our campus. Beginning at age 8, campers increase their skill level, go out for longer periods of time and undertake more challenging outdoor adventures. On-Site overnights, one-night and two-night backpacking trips, flat-water canoeing, and Delaware River camping/canoeing adventures are some of the trips campers experience as they get older. Most of our camping trips, except where noted, take place in Harriman State Park. From the beginning of organized children’s camps in our country 150 years ago, camping out has been a standard part of the summer experience. We believe in it! It builds confidence, is good exercise, fun, builds group dynamics, opens up (literally) new vistas, brings children closer to nature, provides new skills, and offers a sense of accomplishment. Our camping staff is experienced, competent, gentle and encouraging, following the ‘roughing it easy’ philosophy. We do not approach the outdoors with the idea that we are going out to ‘conquer’ something, but rather that we are going out to open up to something even greater than ourselves.